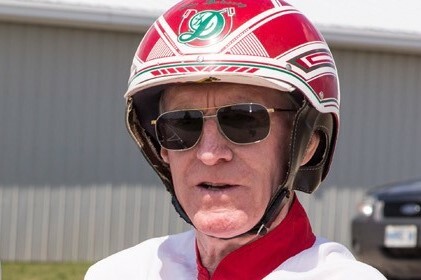 Hall of Fame driver Bill O’Donnell said he wouldn’t have had a career at all without the late trainer/driver Jim Doherty, a fellow Maritimer that raced predominantly in the United States and was inducted into the Harness Racing Hall of Fame in Goshen, NY in 2003. Doherty, who died in 2015 at age 74, started his career in the horse racing industry in 1956 at the age of 16 working for Milton Downey in St. John, NB. Doherty moved to New England in 1969 and soon became one of the leading trainers and drivers at Rockingham Park and Foxboro Raceway until his move to New Jersey in 1976 when the Meadowlands opened. At the Meadowlands, Doherty trained and drove a large stable for the better part of 40 years, developing numerous champions along the way, including $3 million earner and 2002 United States Trotter of the Year, Fools Goal, as well as 1997 Three-Year-Old Trotting Filly of the Year No Nonsense Woman, and Starchip Enterprise, winner of the Valley Victory and Canadian Trotting Classic in the late 1990s. Doherty also drove Green With Envy, two-time Older Pacing Mare of the Year in 1984 and 1985. During his career, Doherty drove or trained winners of 4,700 races and $45 million in purses. 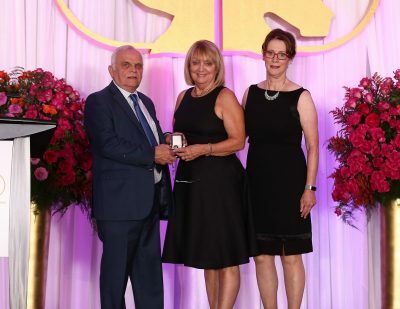 Apart from being enshrined in the Harness Racing Hall of Fame, Doherty is also a member of the New England Harness Writers Hall of Fame, New Brunswick Sports Hall of Fame, and the Saint John Sports Hall of Fame. O’Donnell said Doherty came by his “Gentleman Jim” nickname honestly. “He was a great guy, a caring guy. He just helped everybody,” O’Donnell said. “I’d like to have the $20, $50, $100 bills that he gave to people around the racetrack over the years. Anne Gilbride, sister of the late Jim Doherty spoke of his race career and accomplishments. 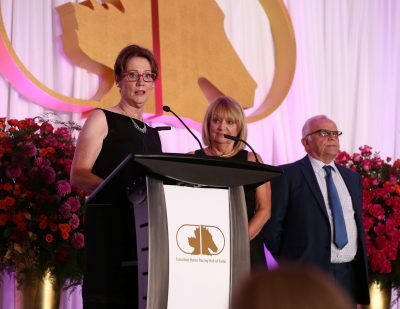 O’Donnell said Doherty not only gave a lot of young people their first shot in the business — particularly fellow Canadians — many of his employees stayed with Doherty for decades. O’Donnell said Doherty did much more than give him a job in Foxboro, MA, and some driving opportunities. Doherty even pushed O’Donnell to move to the Meadowlands where the latter truly made his name in the game. O’Donnell earned nearly $100 million, won virtually all of the sport’s biggest stakes many times over and became the first driver to post a $10 million year. He owes it all to Doherty, who he calls a stellar horseman with an incredible work ethic.